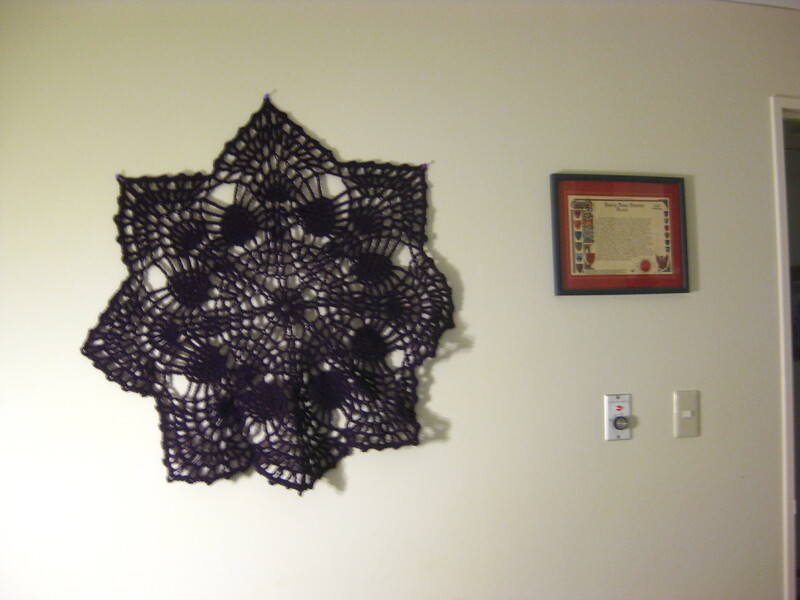 Expect Doilies | I only knit theoretically. Gauge is not a dirty word! It is important to understanding how knitted garments work. Learn how you knit, as opposed to other knitters, and you’ll be happier. I got to the end of the outer petals on my Lilytopia shawl and this is how much lavender I had left. I shouldn’t be alive, but I made it. Somehow, I made it. Can’t wait to show you it finished! These are amazing doilies. I love the way shapes are used in the patterns. You know I’m a crocheter. I love to crochet, and most times I can’t do anything else. Spinning, perhaps. But knitting? 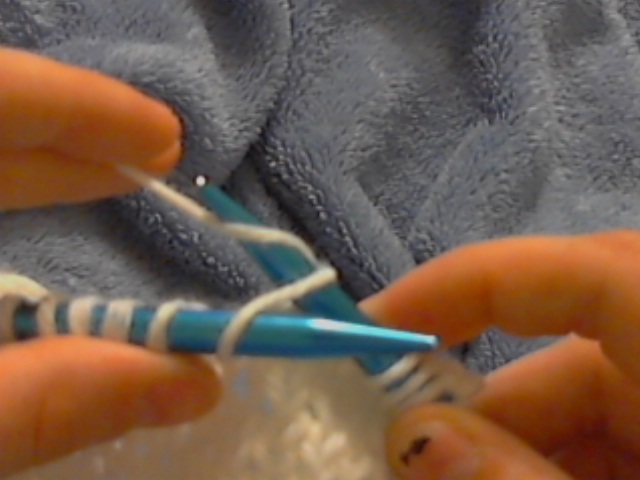 Knitting isn’t my thing. I finished the Hemlock Ring Blanket. It’s not blocked, but I think the ripples are quaint. The bind off was crazy, but I’m glad to be done with it. I thought I was done with knitting for a while. Finished one project, why would I want to do more? But I follow KNITFreedom and Liat put up a wonderful post with a pattern for a worsted weight toe up sock with heel flap. It’s the greatest thing ever. I love toe-up, and the gusset is wonderful, and heel flaps are lovely – each sock took me just a day to make. I don’t have a picture because my mom snatched them up, but they were a fun project. Then, you see, I had these metal 9″ US1 circulars from my great grandmother. And I really wanted to make something on them. They were just too cute. So I started A Day at the Circus with some random yarn I had lying around. But, disaster struck and the wire from the cord of the circulars started to unravel. Now it’s on DPNs. I haven’t even finished that but I wanted to start another project. Because, you know, stockinette stitch with color work is interesting, but sometimes you want something different to do. So I looked at the yarn I had available (it’s so barren here! I can’t wait to get back to Chicago to be with my yarn again.) and decided on the Ventura Wrap. It’s such a lovely, simple pattern. The size of the needles isn’t my favorite thing – and I’m only using 15s – but it’s nice once you get into it. And the netting is so pretty. It’s destined for a pretty tree somewhere. Meanwhile, my Lorenz Manifold is being further neglected, the doily bag is hibernating, and I haven’t gotten around to really starting on my sister’s pineapple lace loose sweater. I’m telling you, I’m infected! Infected with knitting! Is there help? Medications? Interventions? So I meant to write a post about Z-twist and S-twist, but you haven’t gotten that yet. I also meant to work on yarnbombing more. 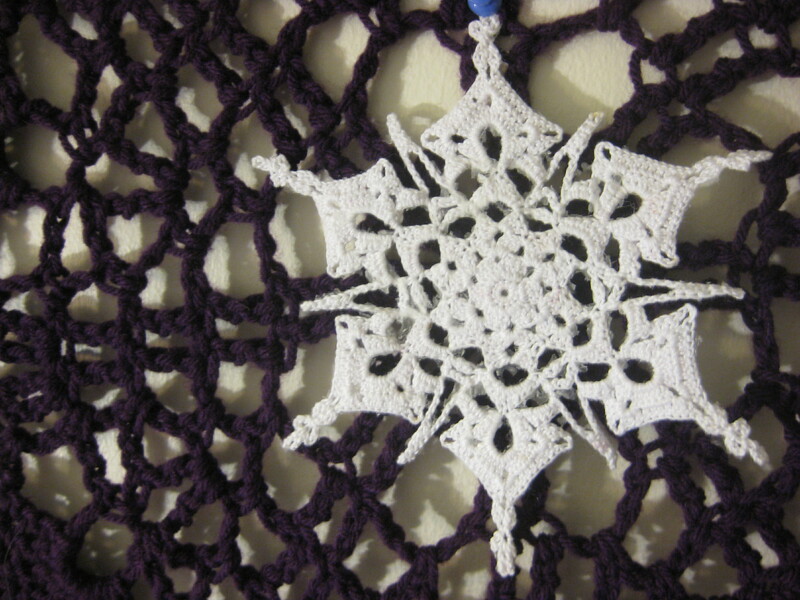 Here’s a snowflake doily I made that is now keeping the large wall-doily company. Isn’t it cute? I starched it, but I think I had too much cornstarch to the water, so the goop left fragments around some parts of the doily. I like it, makes it more snowflakish. I went to a craft store the other day and bought a Japanese book of three doilies. I didn’t know it only had three doilies (it seemed to have more! ), but it wasn’t very expensive and I like all three, so I don’t mind. The actual doily stops just about outside of the zig zag. I’m continuing it to make a bag, which I’ll probably line with either denim or canvas? A satin would make more sense, but I’m just not a fancy fru fru type person. I’ll probably try to sell it, so it would be nice to wait for the future owner to choose the liner, but that makes it harder to sell. Aheh, I used this as contrast for the last doily. 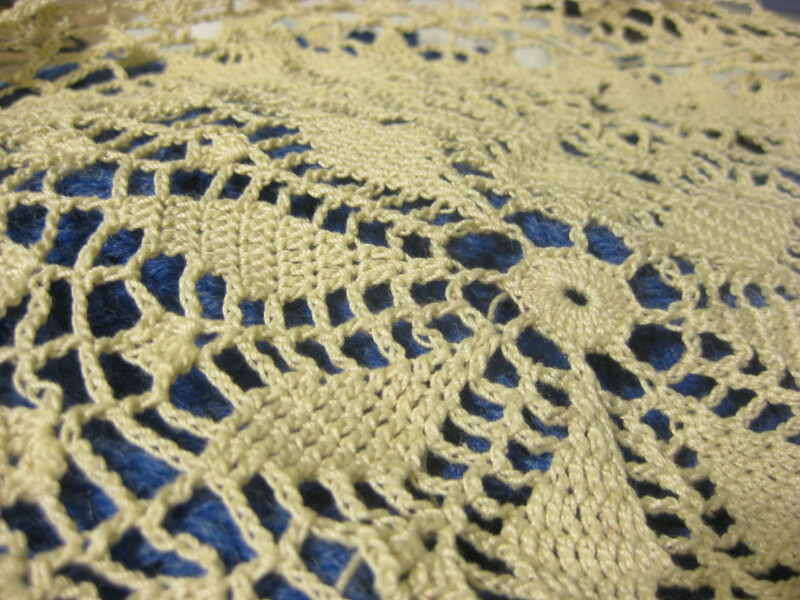 This is throw I found on Ravelry based on a doily called Hemlock Ring. I heard someone was having a baby so I looked for blanket patterns. It’s knit for once, and that has frustrated me! For a few rows I was somewhat lost, and only saved myself with my friend’s idea to retroactively put in a lifeline. Lifelines are amazing! 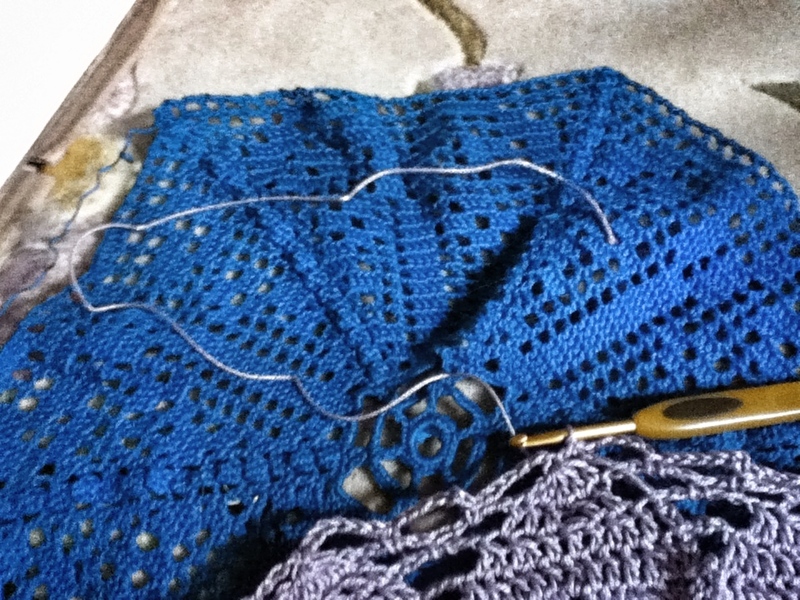 It was so much easier to put the stitches back on after I took out a few rows to gain my bearings. Anyway. I just had no desire to do anything but doilies lately. Hopefully I can get through with these WIPs quickly and get back to my other projects. I have promised my sister a chunky, lacy sweater (pineapple style! ), and I still haven’t finished my Lorenz Manifold. Plus all the yarnbombing left to manage! Sometimes, going with your freshest desire helps you make lots of interesting projects. Most times, it just radically increases your number of WIPs. Ooops. So, before school ended for the year, I received 225lbs of mill ends in the mail and distributed a few pounds to some of my knitters. I only managed to bring two pounds home, but I have at least a two or three pounds of scraps around here, so I figured I will be kept busy enough. I’ve worked my way through over a pound of it so far, and I’ve learned that there are two main components of yarnbombing: Big and little. It’s quite simple to take a small pattern and size it up or a larger result. 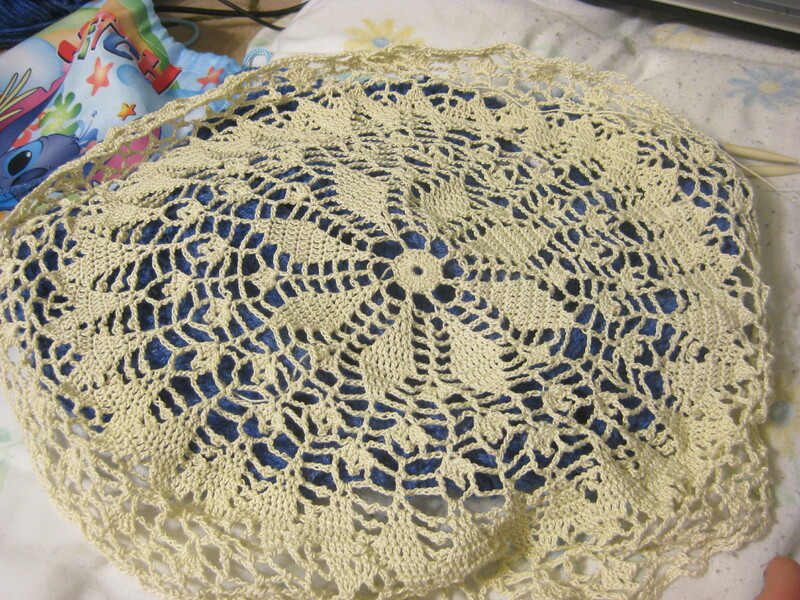 This is a doily I made using worsted weight acrylic yarn and a size K hook. It’s maybe 2.5 feet in diameter. Pretty big! And it didn’t take long. 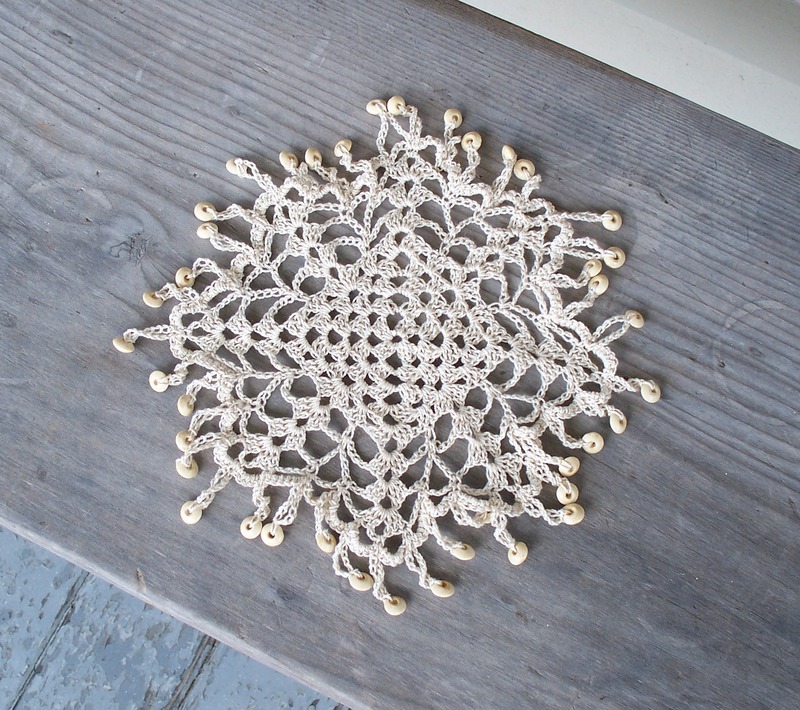 I don’t know what will happen to this doily – hang from a tree, decorate a bench, or maybe I’ll add some edging in a different color to make it square and let it be more versatile. Anyway, I quite like it and it’s now adorning my wall. Squares! 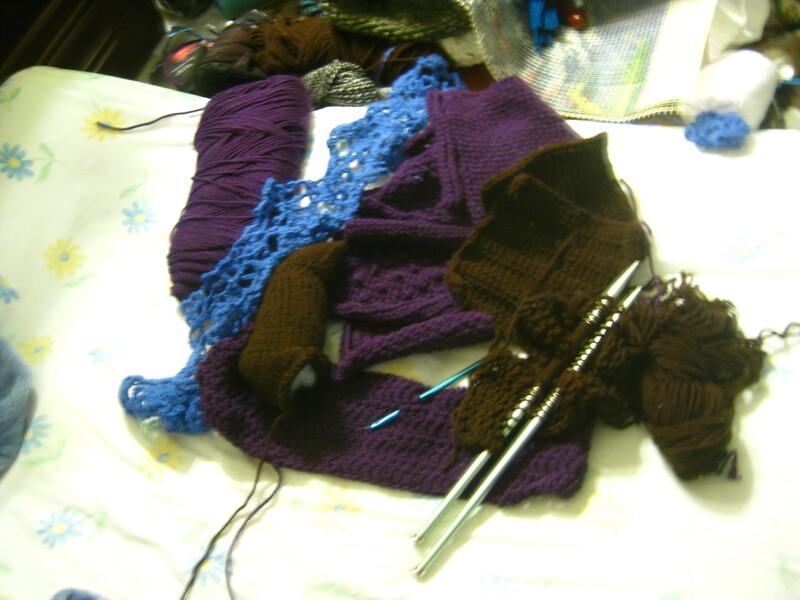 In the middle there you can see a stack of squares I made from the pattern for a Tunisian afghan. 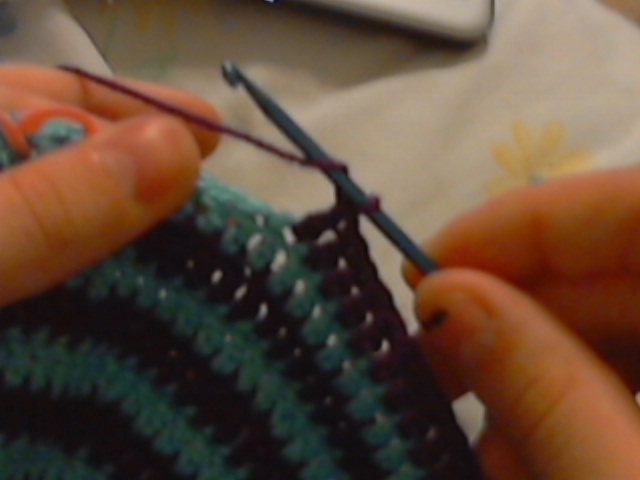 I decided I wanted to do something a little different, learn something new, so I tried Tunisian crochet. Some of it was fun, some of it was tedious, but each square is only about 7-8 inches wide, so they didn’t take up much of my time. They’ve be very easy to sew together and make other pieces the right size come winter. 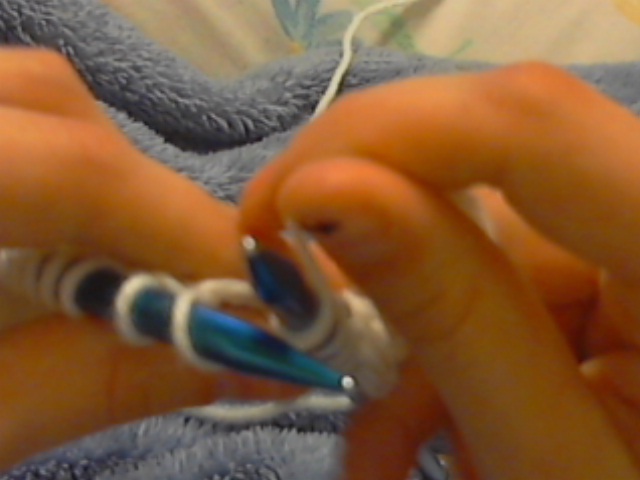 On the left, in the blue, you can see a string of motifs I’ve been working on. They’re from a pattern for an Damask-inspired lace afghan. I don’t know what they’ll be used for, but they could be strung around polls or used to make other squares and rectangles larger. 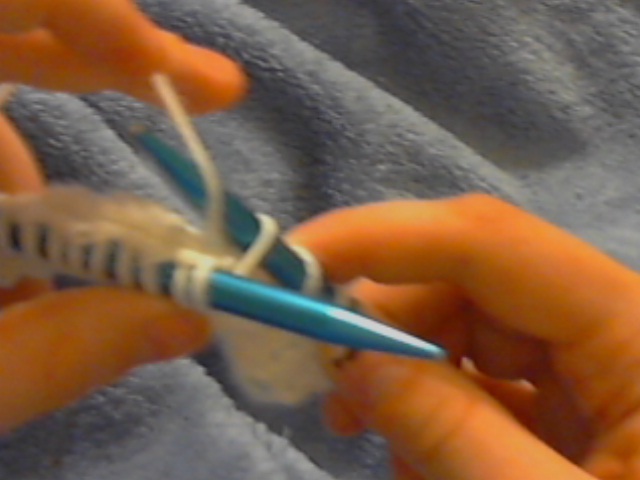 You can also see in this picture a pair of size 15 knitting needles upon which I taught my sister to knit. It doesn’t matter that the fabric is loose and a little bit wonky! This type of rectangle will be the bulk of the tree sweaters. 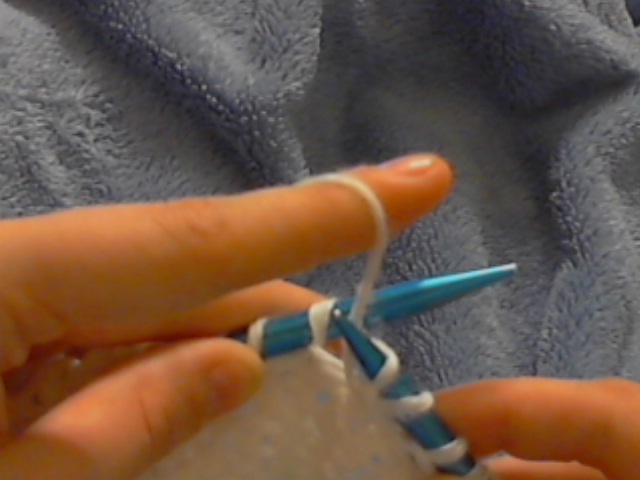 There’s also a K hook stuck through some double crochet – another quick and easy way to make rectangles fast! Also, on the left is the body of a squirrel I’m knitting. I don’t know how knitters do it, I can’t make myself work on him for very long before getting distracted. I can crochet forever, though. So, that’s the start of my yarnbombing adventure. I’ll keep you up to date as more things happen, but it’s not at any exciting place yet. Mostly, it’s just about making fun stuff with yarn and in a few months throwing it up on trees. What could be better? Yarn overs are a basic construct of a knitted or crocheted object. But do you understand them enough to see how they can affect your work? They make a big difference in things like Z-twist and S-twist, the leading edge of your loops, and other important characteristics of the way you work that can change the drape and structure of the finished product. So, before we get into all that complicated stuff, let’s just take a look at the common ways of making a yarn over (YO). 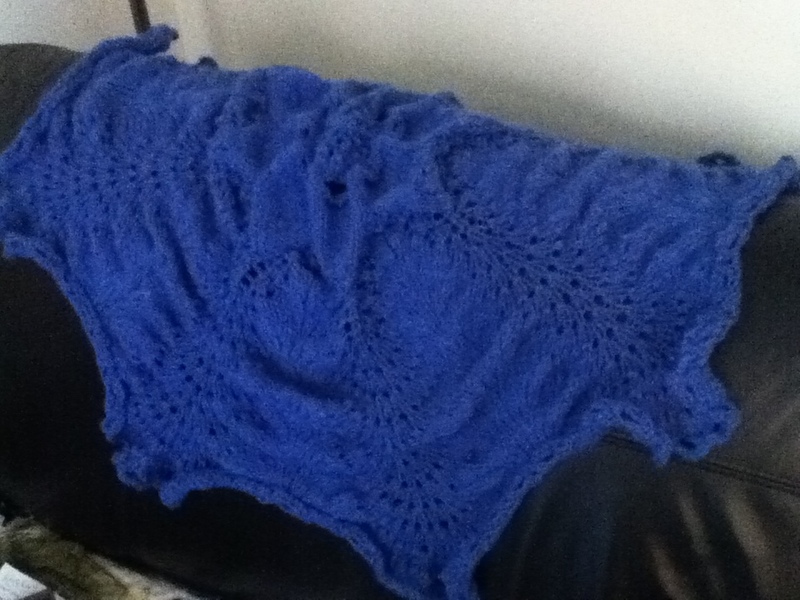 English knitting accomplishes the same counterclockwise wrap, but in a different way. 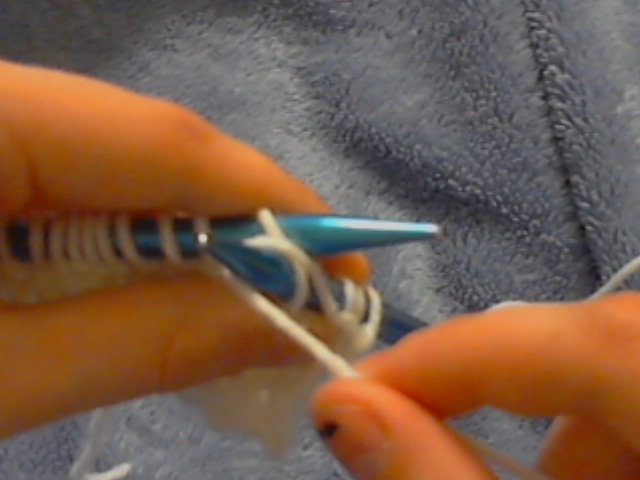 Interestingly enough, this more often adds Z-twist to the yarn. This is combined knitting. This is not how most people knit, as the clockwise wrapping of the YO is not the norm in most knitting and can cause some problems. 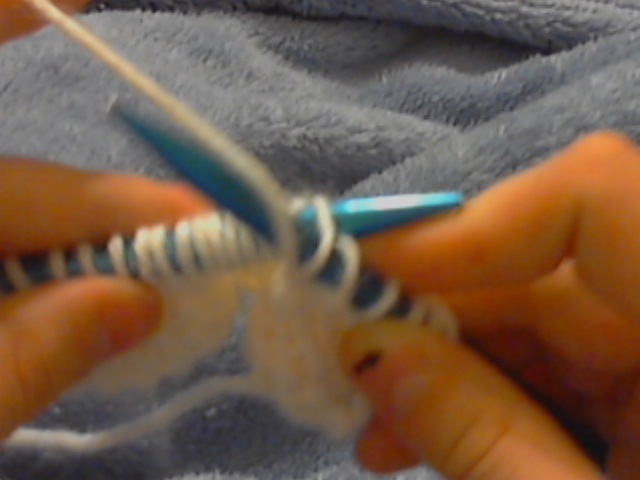 I started out this way, and I think it’s because I started crochet first. 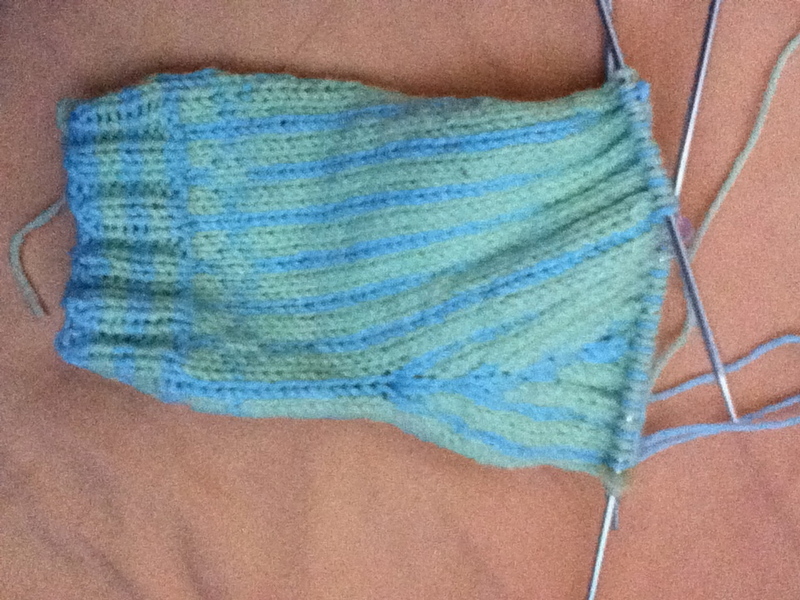 Combined knitting often adds Z-twist to yarn. Ah, crochet, my pride and joy! And what got me into this nonsense! (I started taking careful note of yarn overs after observing this post about tapestry crochet.) 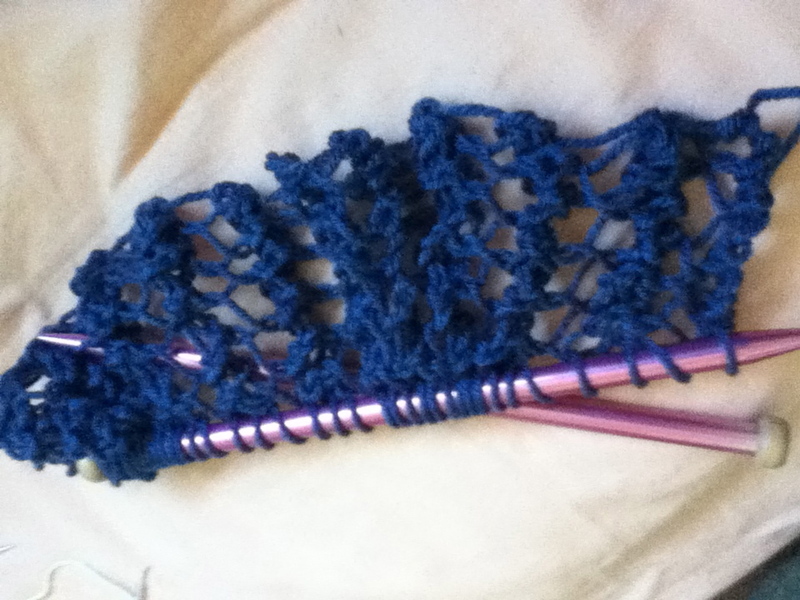 Crochet and Tunisian crochet normally use the clockwise wrapping and add Z-twist to the yarn. We’ll be revisiting these concepts later as we start talking about structure. Z-twist and S-twist can be quite interesting things.